The Central Christian College men’s basketball team is garnering some preseason attention in the form of the A.I.I. Conference and NAIA preseason polls. 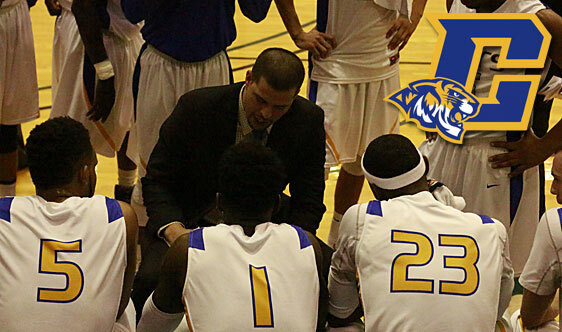 The Tiger men, who ended last season with a 20-15 record and a 6th place finish in the NCCAA National Tournament, are picked 2nd in the A.I.I. Conference preseason poll, and are just outside the top 25 in the NAIA preseason poll, but are receiving votes. The Tigers return a minimum of four starters (all five if the NAIA clears Alonzo Stafford to play his final season), and their first man off the bench. They have Michael Gholston back, a prolific outside scorer, who is on pace to set the all-time points record at CCC, Daniel Nwosuh, a three year starting point guard, Sam Clayborn, a slasher and the team’s defensive motor, Kendric Warren, a 6’6″ center who patrols the paint for the Tigers, and Ernest Burton, a silky smooth, dual threat wing man who can heat it up from outside or take it to the hole. This may be the most talented all around team that Coach Romero has put on the floor in his 8 seasons as the skipper of the Tiger program. In addition to his core group of veterans, Romero, and assistant coach Guy Gardner have brought in two sophomore transfers who are both over 6’6″ and can play on the wing, or down low, and a freshman backup point guard who can handle the ball and also score when needed. The Tigers open up the 2016-2017 season at home on Friday against Bethel College at 8:00.